Jayne Wells is a Chartered Physiotherapist and runs the busy Wells Physiotherapy Clinic in Reading, Berkshire. She qualified from the University of Brighton in 1999 with a 2:1 BSc (Hons) degree. She is a member of the Chartered Society of Physiotherapy (MCSP) and is a state registered Physiotherapist with the Health and Care Professions Council (HCPC). She started her career at the Royal Surrey County Hospital in Guildford completing her rotations in orthopaedics, out patients, amputees, respiratory, women’s health and on the post operative and medical wards. Jayne then went on to work at the prestigious Wentworth Golf Club as a private physiotherapist for seven years, treating various golfing, tennis and other sporting injuries. 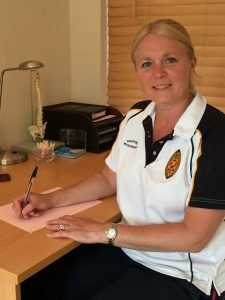 Jayne has an additional qualification in Acupuncture (AACP – Acupuncture association of Chartered Physiotherapists) particularly for sporting injuries and pain. She has found some exceptional results from the use of this modality in conjunction with Physiotherapy. Jayne has always had an interest in treating the person as a whole and thus allowing the body to function to its highest potential. This reduces pain, increases mobility and helps the patient get back to their desired activity as quickly as possible. She has expanded her skills over the past few years, completing various courses training in myofascial release, muscle energy techniques and energy medicine. Jayne founded Abundant Therapist in 2011 as she is passionate about helping other therapists from all professions build their own successful businesses. She genuinely wants to help others as she believes that being a therapist is a very special and unique skill, so that the more people she treats, the fewer people are in pain. 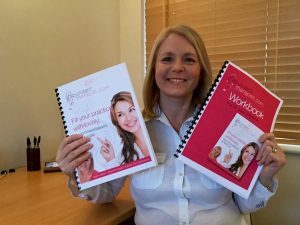 Her most recent project has been to launch her ‘Fill Your Practice’ system which shows therapists exactly the steps she took, from having no clients when she launched to running her full and expanding clinic. She shows other therapists some simple, yet effective, techniques that have helped her build her own thriving business over the past 10 years without a need for expensive advertising. Jayne offers one-to-one coaching, runs workshops and is a regular speaker at therapist events.